By extending a helping hand Dewcare non-medical Care Services for South African elderly care wants to support you (or your loved one) to enable you to continue living in your own home for as long as you are able. 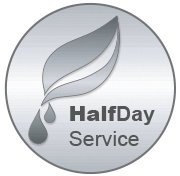 We offer four basic SERVICES – Pop-in Services, Half Day Services, 12 Hour Services and 24 Hour Services. The above-mentioned service packages include many services to suit our Clients’ needs. Clients with specific needs can call the Dewcare Office to help them to tailor their own Service package. A variety of Additional Services are also available at an extra cost. IN CASE OF MEDICAL EMERGENCIES, DEWCARE WILL ALWAYS ASSIST THE CLIENT IN OBTAINING IMMEDIATE MEDICAL CARE, REGARDLESS OF THEIR SERVICE CONTRACT WITH DEWCARE. Clients can choose from our existing services or call the Dewcare office to assist them in compiling a service package that will attend to their specific needs. 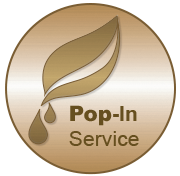 Our Pop-in Service is a friendly pop-in that will normally take from 1 to a maximum of 3 hours according to the Clients’ needs. Prepare a snack for tea time. TAKE NOTE that Dewcare is a Caring Service and not a Domestic Service. Therefore, the personal care and wellbeing of our Clients will always be our priority. Services additional to this basic POP-IN Service are available at an extra cost. See our list of Additional Services to ensure that all your needs are met. Services additional to this basic HALF DAY (6 HOUR) SERVICE are available at an extra cost. See our list of Additional Services to ensure that all your needs are met. Services additional to this basic 12 HOUR SERVICE are available at an extra cost. See our list of Additional Services to ensure that all your needs are met. The 24-Hour Service is a Day and Night Duty Service that will provide the Client with 2 Dewcare Carers which will rotate every 12 hours. Checking on the Safety of the Client during the night. Night Duty Carers can rest a few hours if the Client is comfortable and asleep. Services additional to this basic 24 HOUR SERVICE are available at an extra cost. See our list of Additional Services to ensure that all your needs are met. Additional Services are services where Clients need to leave their homes with the Carer or where services are rendered by other Companies arranged and supervised by Dewcare. These Services additional to our basic services are available at an extra cost. Our Dewcare-provider can either shop from a list provided by the client or, alternatively, take and accompany the client if he/she simply needs a helping hand to do their own shopping. If requested, the Dewcare-provider will happily unpack and put away the grocery shopping. A freshly cooked dinner can be delivered – Mondays to Fridays only. Delivering and Collecting laundry to and from a Laundrette once a week. A monthly garden maintenance service to include lawn mowing, light weeding and garden refuse removal. (This service will be provided by a Garden Maintenance Supplier in the area.) Dewcare will arrange and supervise this Service on behalf of the Client. A housekeeping service can be provided by an external Contractor on behalf of our Clients. This service will be arranged and supervised by Dewcare on behalf of the Client. Transport to and from the doctor, pharmacy, dentist, hospital, clinic, or other medical institution (currently within the Hermanus areas). Our Dewcare Care Providers are PDP licensed (Public Driving Permit). A Dewcare Care-provider can make it possible for full-time family carers to take a much-needed break from their caring responsibilities. Relief care offers a break of 1-2 hours for full-time family caregivers, giving them a chance to recharge, refresh and renew their caretaking spirit, energy and enthusiasm. Please call us for more information. Collection from home, delivered to Drop & Go for a maximum of 4 people with light luggage. FURTHER DESTINATIONS: quotations for single and return trips available on request. The Dewcare Carer accompanied the client on an outing in the nearby area. This can include: having lunch or tea at a restaurant, sightseeing, walk along the beach, even a picnic or whatever the client prefers to do. Dewcare non-medical Care Services focuses on providing peace of mind both to the person needing a little extra help and also to their loved ones. Our person-centered care aims to provide the physical, emotional, and spiritual support that everyone deserves. How to keep your mind sharp as you age! © Copyright Dewcare 2015. All Rights Reserved.